The Obamacare insurance co-ops have collapsed. Of the original 23, only three are expected to survive past 2017. The insurance companies are losing hundreds of millions of dollars on the healthcare insurance exchanges. Their reaction is to pull out of a number of them in order to reduce their exposure; a process they repeatedly employ to shed under-performing products called “purging”. To make up for these losses, insurers are expected to raise 2017 premiums across the board on all policies. The Kaiser Foundation expects an average increase of nine percent for policies on the exchanges, but in the individual market, the increases will vary by state- averaging 14 percent, but may be as much as 25 percent in some markets. People are outraged because healthcare is going in the wrong direction for most of them. This is not the $2500 reduction in healthcare premiums promised by President Obama. There are fewer insurance options, with narrower physician panels. A McKinsey study reported that there will be only one insurer in up to 1/3 of counties in the US. Patients are responsible for a greater amount of their healthcare costs before insurance pays a penny–often $6000 for individuals and $12,000 for a family. 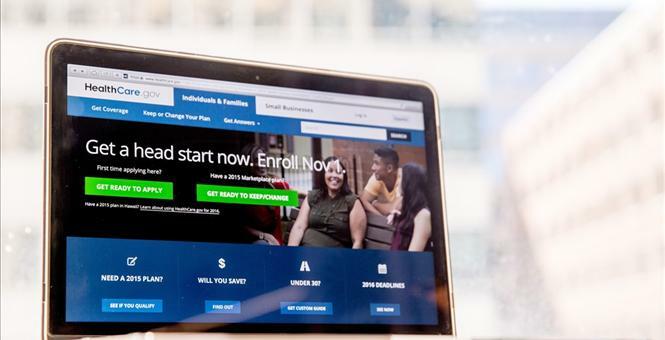 Obamacare is spinning out of control as we approach what the healthcare policy experts predicted would eventually happen: the “death spiral” of this hastily contrived government intrusion into healthcare. It would appear that the insurance industry is on “thin ice “as the healthcare system, that they helped to turn upside down, begins to unravel. Progressives are now openly saying “we have tried to use the “free market” to fix healthcare but it just doesn’t seem to work”. President Obama is pushing for a “Public Option” to save the healthcare system and patients. This is just the inevitable next step towards a single payer (Federal government controlled) healthcare system. Hillary Clinton tried to take us there in 1993, but failed. She is talking about this again and would be closer to making this a reality in this environment. The insurance companies are victims too, right? Not even close. They are co-conspirators. What is taking place in healthcare is a contrivance and the insurance industry is a major player, very pleased with the results. They are reaping record profits due to changes in the healthcare insurance arena created by Obamacare; changes that their representatives helped to negotiate as they sat around the table creating the Affordable Care Act. Yes, they are losing money on the portion of their business tied to the healthcare exchanges, but in every other part of their health insurance portfolio, the profits are staggering. It is necessary to connect the dots. The truth may be more sinister than anyone even imagines. What if the insurance industry actually wants a single payer system? Is this even possible? First, consider that the largest purchaser of healthcare insurance is the government- federal and state. When the ACA passed, there was outrage that Medicare Advantage would be scaled back. This is the most popular and well liked part of the Medicare program by seniors because of richer benefits than traditional Medicare. Instead, the program has grown so that 1/3 of Medicare recipients are on this program. Ironically, insurance companies, through provisions under Obamacare, have figured out how to get paid more than before. Second, the cozy relationship between the federal government and the insurance industry should be cause for concern and investigated. The former director of the Center for Medicare and Medicaid Services (CMS) in the Obama administration, Marilyn Tavenner, is the President and CEO of AHIP, America’s Health Insurance Plans. This is the professional lobbying arm for the insurance industry, and the group that “sat at the table” when the ACA was being conceived. Currently, it is difficult to see any daylight between the federal government and the insurance industry. It is curious how a tax on the insurance industry amounting to $12 Billion; funds which are sorely needed to help pay for this entitlement has been postponed. Equally troubling is the recent discovery that the issue of “risk corridors” is not settled. This was a program that AHIP negotiated to make up for losses sustained in the Obamacare exchanges. In 2014, $8 Billion was collectively paid out- a tax payer bailout of the insurance companies. Congress voted to put a stop to these payments, but the Executive branch is trying to bypass Congress in the waning days of this administration, and get more money back to the insurance companies. When over 50 percent of the insurance company business comes from government contracts, and with insurance companies making record profits, why would they not want to go 100 percent government contracting? Their downside risk would be eliminated when the federal government is the guarantor. They can’t lose in this scenario. The only losers are patients and taxpayers.